One of the unexpected positives to come out of our Blood Cancer Awareness Week has been the really very encouraging way in which Margot’s story and the Team Margot message has been received by primary school children. 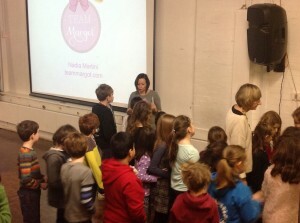 Margot’s auntie, Nadia (my sister) presented to almost 2,000 children in various North London schools this week. 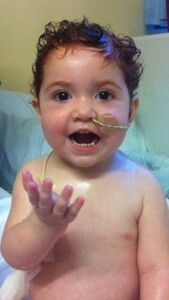 Helpfully, the Heads of those same schools then followed up the talks with a call to action, namely: please go home and tell your parents about Margot’s story, what they could do to help others and why they might consider joining the stem cell register. The teachers fed back that the presentation was pitched just right and then yesterday we heard first hand from many mums and dads who attended the donor registration event that our message really resonated with their children, who arrived home eager to get their parents involved, armed with Team Margot wristbands and postcards. We’re learning as we go. Here’s a recording of one of Nadia’s presentations.